On the plane to Hong Kong I chose a South Korean spy film as the in-flight movie. It was about a Southern spy who befriended his target in the North and finally met him again, decades later, as relations between the two halves of the Korean peninsula started to thaw. Cue lots of not-so-subliminal messages from the producers; we’re all one country, reunification would be a good thing, maybe one day it will happen; the sort of one-world message that could have been pure Hollywood, and packaged in a spy flick that played all the usual genre tropes. This wasn’t the Cold War though, or at least not America’s cold war, and the plot spoke solely to a Korean worldview. It was disconcerting to watch, as if all of a sudden George Smiley had personally accepted a role as The Manchurian Candidate. The Korean alphabet is more like Greek than Chinese, but individual letters are stacked into syllable clusters. How much do you know about South Korea, really? It borders North Korea – well done. Anything else? They make the world’s best smartphones – good, any more? They make some slightly more questionable cars – okay, is that it? That was pretty much the sum total of my knowledge too before I decided to go there. Now however, I know … not a lot more. I could tell you how Korea is extremely monocultural and not very accepting of foreigners. I could tell you how by the same ticket they’re incurious about the rest of the world and don’t often go there (because have you ever met a Korean tourist?) I could tell you how Koreans are vain, living in poky little flats and surviving on ramen noodles so they can fund their designer wardrobes. The truth is though, all that would be secondhand, harvested from blogs by disgruntled expats. 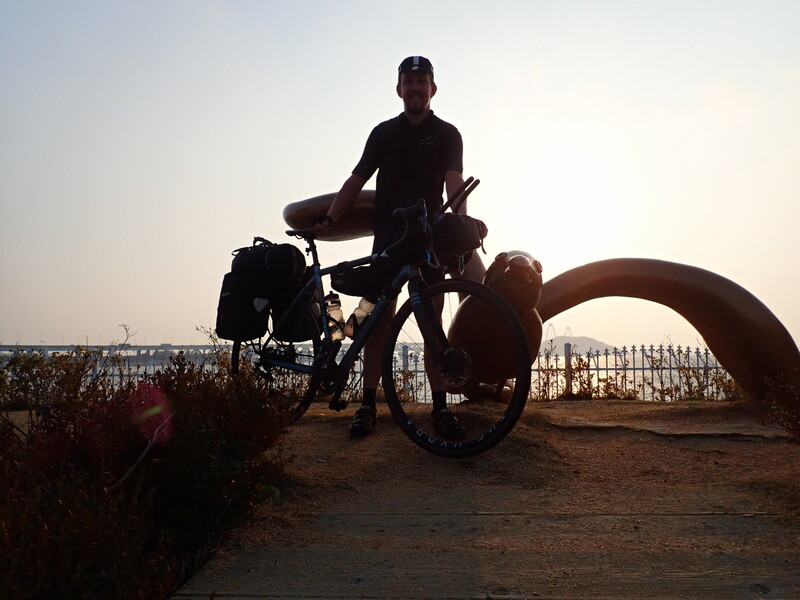 My experience of Korea was almost entirely that of the bike ride, cycling from one side of the country to the other on the Four Rivers path. 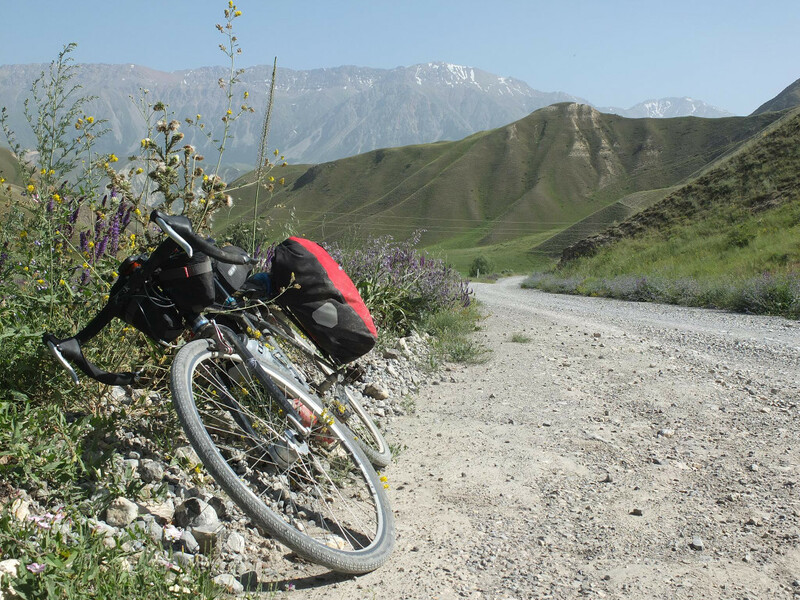 This blog is therefore about that path – ostensibly one of the longest bike paths in the world. 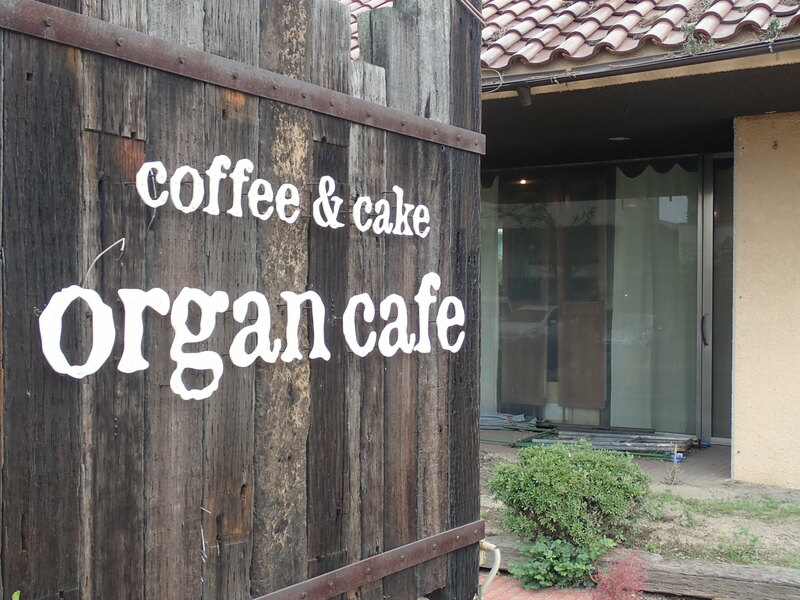 Organ Cafe? Let’s drink up this coffee quickly, right? I so, so wanted to like this path. From what I’d heard it was 400 miles of flat tarmac, away from roads, with signs all the way, toilet stops, service stations, signs all the way, tunnels through mountains … these were set to be the easiest kilometres of the trip – a ‘store up to bring your non-cycling girlfriend here in the future’ sort of experience. It would also be extra useful as my GPS had just broken: I could just follow the signs and the path all the way, right? 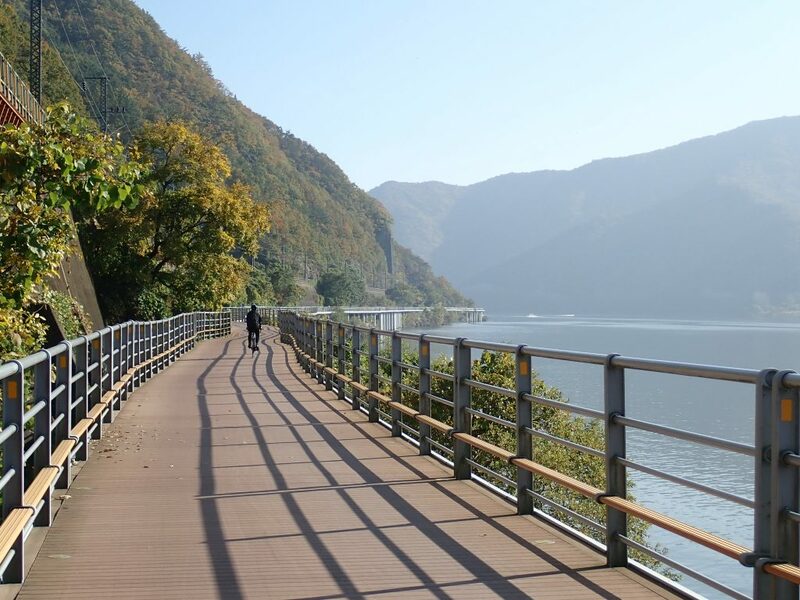 The Four Rivers Path could sometimes be very good, bit it need someone to connect its parts into a navigable whole. 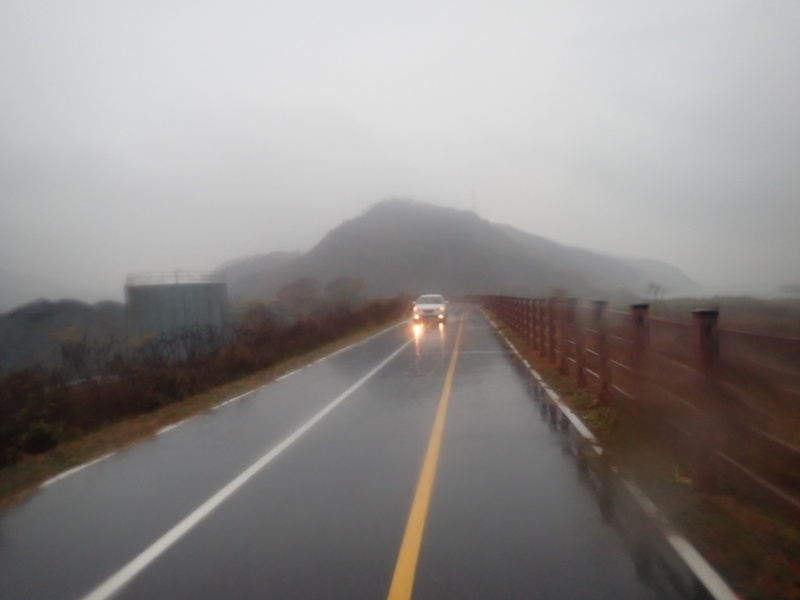 I did eventually find those tunnels … 500 kilometres into the ride as I approached Seoul. The rest? Read on and see if you can spot them. 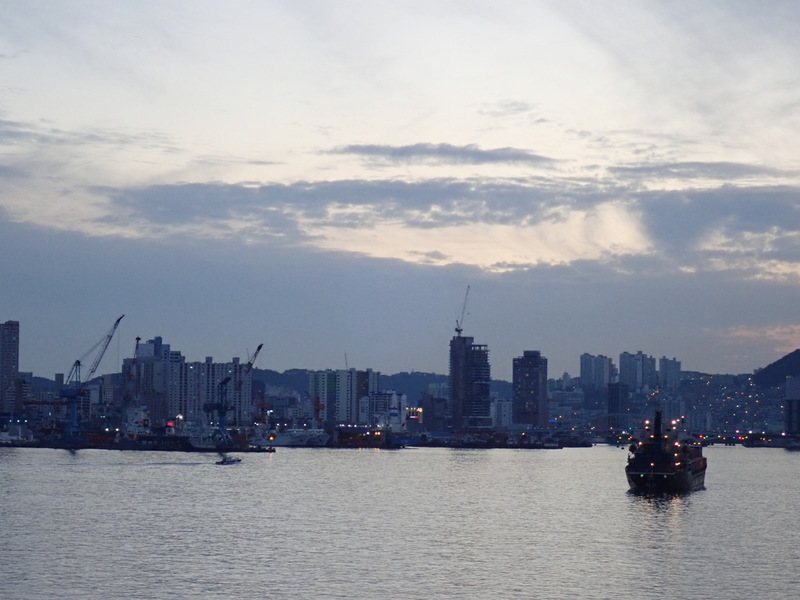 It started out well: I left Busan on a weekend, riding with clubs of locals as they down down the track en-masse, stopping at pop-up cafes every few kilometres to take in the sun and the general bohemie of it all. Nearing the other end a week later, the path would also be quite good and I’d zip down the river through the capital Seoul in next to no time. In between the two showcase population centres though, it was a different story. When the path does go off-road, it’s frequently made of wooden boards: fine in summer but take a road bike down there on a wet autumn day at your peril. Combine the slopes, hairpins, wet wood and fallen leaves … yes this did happen to me. When the path joins the road, it resembles the sort of pointless things we’re used to in Britain: a faded white line down the side of the road, demarcating the bit where all the broken glass collects. You’re passing a roadside service station; is there any route from the bike path to the services? Nope, because the designers think cyclists run on hot air. You reach a town. Great, you can get some food at last! Will the path guide you through town though? Will it heck. 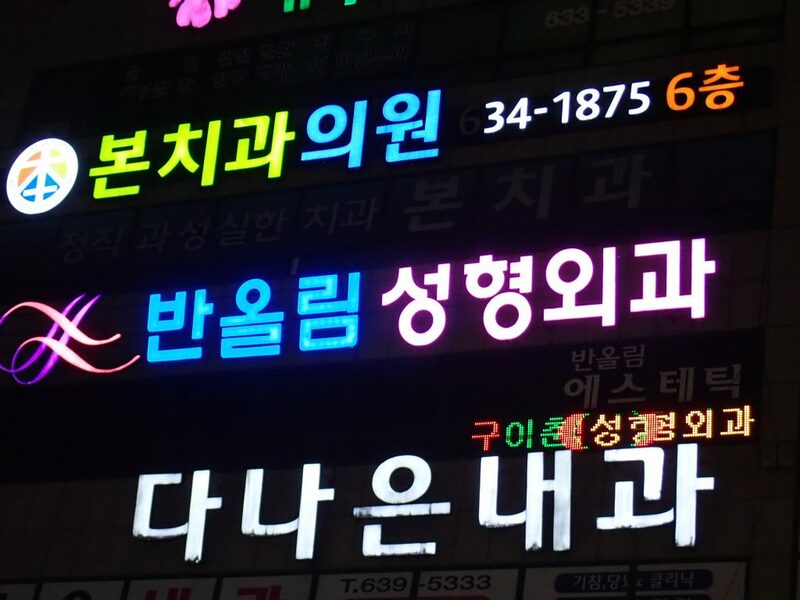 The signage is inconsistent and woefully inadequate, especially if you don’t read Korean. The Four Rivers sign is a bit like the MS Windows logo, but doesn’t appear on all the signs denoting the path, and does appear on some extra branches of the path so you can still go astray. Helpful! Mapping GPS is utterly essential to avoid pulling your hair out. Oh, and you know what else you might find on the bike path? Cars. Hmm, this ain’t so good. Sometimes I gave up and tried going on the road network, but none of those experiments lasted very long; Korean driving is bullishly crazy, might is right, the roads are not designed for anything except cars and they are certainly not nice places to ride a bike. I’ve got a higher traffic tolerance than most people but I quickly gave in and returned to the path, with all its faults, and continued ploughing my way frustratedly along at my new reduced, hazard-aware bike path speed. If you read around the subject, you’ll find the Four Rivers’ state of repair blamed on political expediency: the current president is criticising his predecessor’s spending splurges and can’t be seen to continue them. I couldn’t help but feel that the rot went deeper though. South Korea’s economy has expanded hugely over the past several decades, turning it from an agricultural to a major industrial nation in little over a half century, and as a society it feels like they still need to put down the big shiny petrol-powered toys and work out how to play fair. The whole place resembled a version of Britain in the 1950s and 1960s, the Milton Keynes era when planners dreamed we would all be driving cars (or maybe jet cars) absolutely everywhere, before we noticed the ill effects of this idea – but with the difference that Korea is richer without the debt from a recent world war, and half a century down the line they have bigger, faster cars. Cycling in Korea seen as a toy rather than as a viable transport option, and cyclists as people who didn’t mind having their time wasted for them. Pedestrians suffered the same fate: if you go out shopping in central Seoul and want to get to that interesting-looking shop across the street, can you cross? No you naughty foot-person, that might slow down the important people driving cars! Let’s erect s fence in the middle of the roof to stop you doing that – now you can walk a quarter of a mile to the next crossing while the important drivers carry on their important journeys without having to brake for you. Ok I was tired, fatigued and looking forward to a break, do perhaps I’ve been a little harsh on South Korea. However, there have been many countries I’ve visited to which I’d like to return one day, but l’m afraid to say South Korea isn’t on the list. The Four Rivers Path has apparently boosted cycling – albeit from a very low base, so I guess it must be able to claim some sort of success. In terms of providing either a stress-free holiday option or a realistic form of transport? I’m status to say it’s failed. 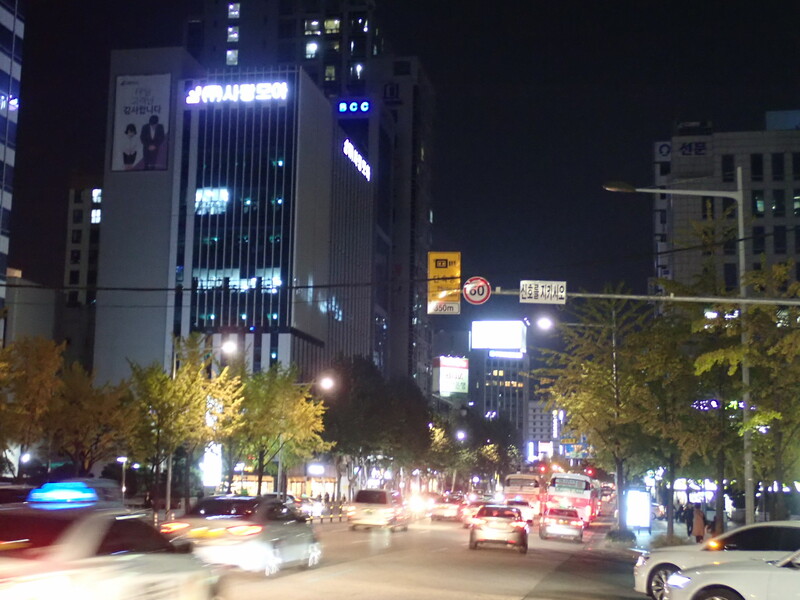 It’s a real shame as it wouldn’t take very much more work to make it those things, but post-expansionist South Korea is a place where the car is king and everyone else should get out of the way – and while it stays that way, I don’t want to return. Finished! Now how do I get out of here?